Scaletec's range of weighing scales for animals of all sizes including reptiles, birds, dogs and cattle. 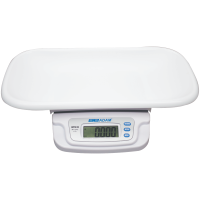 Our animal weighing scales come complete with dynamic animal weighing or display hold features. Dynamic weighing allows the user to take an impression of a moving animal on the scale weighing pan in order to calculate an accurate total weight. The display hold feature is perfect for taking the weight of moving animals and can halt the weighing display in order for you to record an accurate weight value. 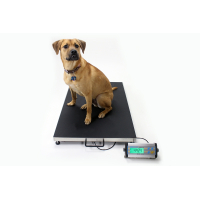 Manufactured by Adam Equipment, the scales in this category are deemed suitable for weighing pets in veterinary practices, kennels or in home environments. For more information about our selection of vet and animal scales, please contact us. The MTB animal scale from Adam Equipment is a versatile pet weighing scale offering an easy to read LCD display with a hold feature to an animal's weight. Perfect for vets, pet groomers and breeders. Adam CPWplus dog scales specifically designed for weighing a wide variety of pets including dogs and larger animals. Ideal for veterinary practices, kennels and grooming centres. 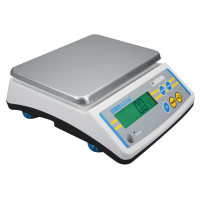 The CPWplus platform scales are multi-purpose compact scales used for many every day applications, such as parcel weighing, but increasingly very popular with diet clubs and individual weighing, due to the light weight and portability of the scale. Larger platforms make excellent recycling scales for metals, plastics and other items. 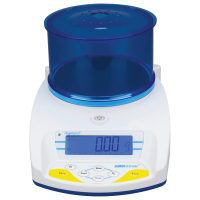 Adam Equipment’s HCB precision balances features Adam’s unique patented HandiCal® internal calibration with a built-in mass, and ShockProtect® as a safeguard against shock loading and accidental overload. 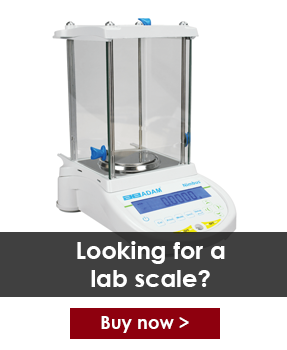 Perfect for schools, manufacturing warehouses, engineering, field work and laboratory weighing applications. 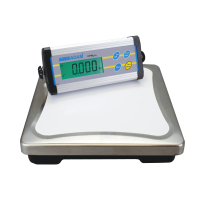 Lightweight and portable, the LBK table scale is simple, easy-to-use weighing machine ideal for use in manufacturing, shipping, food processing and production. A large, backlit LCD display makes it easy to read the weight. Colour-coded keys highlight frequently used functions for faster operation. Q: What features should I look for in an animal weighing scale? The scale has ample weight capacity above that of your pet. The size of the weighing pan is suitable for your pet. The overall resolution of the scale is appropriate (for example, tiny insects will require scales with exceptionally high resolution that work in milligram increments (0.1g-0.001g) whilst a dog would require larger scales that can weigh in grams or kilograms. If you are a veterinary practice, kennel, pet breeder or groomer, it can be beneficial to have display hold or dynamic features that can take the weight of erratic pets through impressions on the weighing pan.